The interior design of modular buildings needs to focus on the specific requirements for each project. 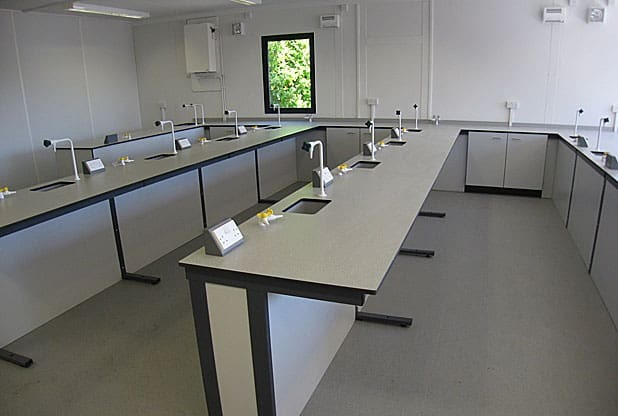 Over the years Klick Technology has developed expertise in the fit out of modular buildings, particularly offering an express fit out service for science laboratories. Where buildings are required as a short term solution, it is most cost effective to use perimeter benching and run the services into peninsular benches, where gas and water taps can be located. 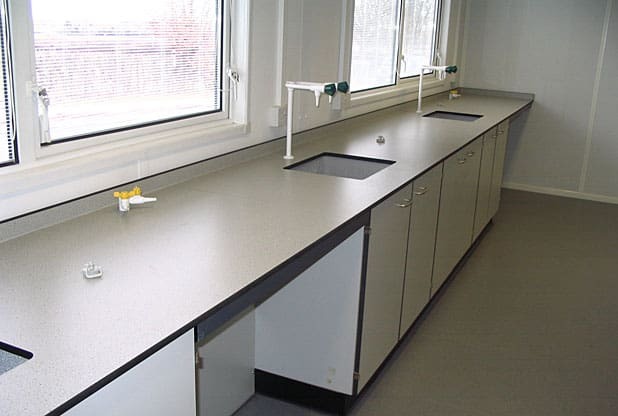 If there is a requirement to recycle furniture our designers can provide room layouts to allow laboratory furniture to be uplifted from modular buildings and refitted into a new building. Modular buildings are also a solution to rising pupil numbers and if the modular building is to be a permanent structure then the science laboratory design can be more flexible. A modern timber or metal framed building is unlikely to have supporting pillars or structural restrictions that would obstruct the run of services. 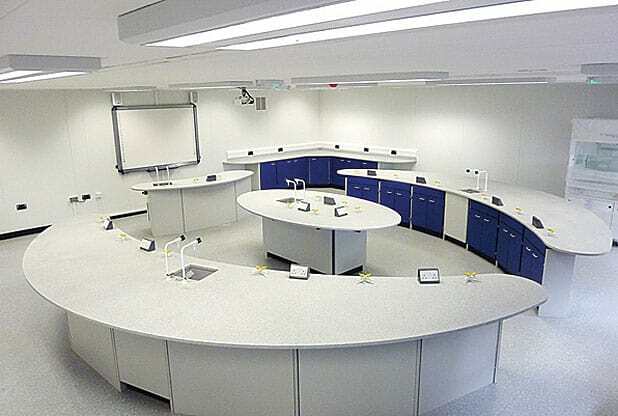 In this case more innovative designs are possible, such as the ‘learning curve’ layout at Bodmin College. If you have a project in mind we would be happy to arrange a visit to discuss your requirements. Please email me or give me a call on 0161 998 9726.